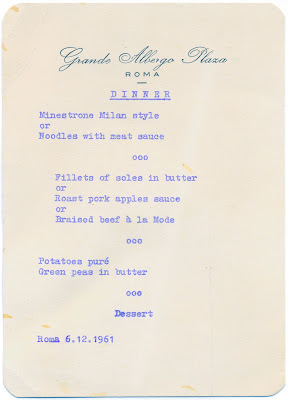 This menu card is from one of the dinners my grandparents attended with their tour group in Italy. I have always been attracted to combinations of script and sans serif fonts. Yummers. Braised beef à la mode, please.